Army was called out in Darjeeling at the request of the West Bengal government to control the situation on Thursday, media reports. Two army columns have been deployed to the affected areas. 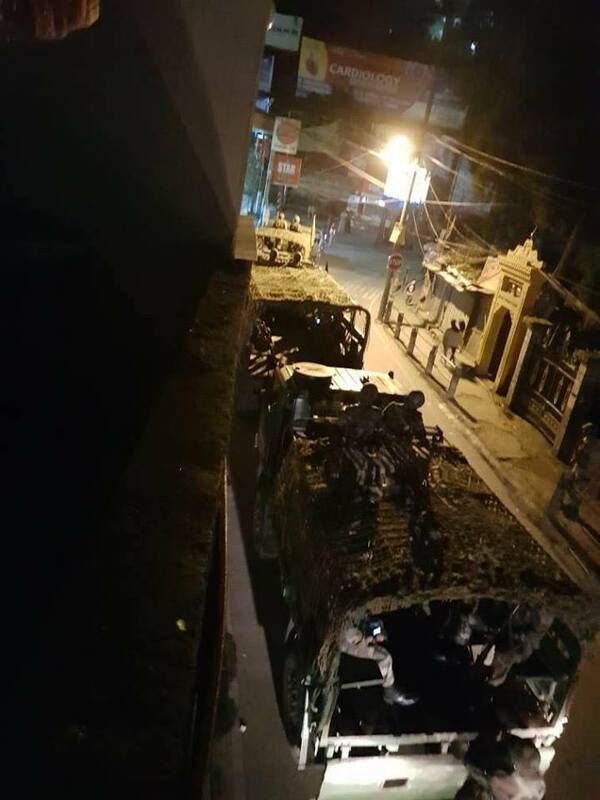 Since late evening, army trucks are being seen patrolling at unrest areas of Darjeeling. "Requisition from state Govt received. Two army columns based in Darjeeling have been moved out. Each column about 80 men," PRO of Indian Army's Eastern Command, S.S. Birdi, said. According to local media, Gorkha Janmukti Morcha (GJM) has called for a 12-hour-long general strike in the hills on Friday. The hills in the North Bengal witnessed a protest by GJM. Amid protest and arson in the hills of Darjeeling by the Gorkha Janmukti Morcha (GJM) West Bengal Chief Minister Mamata Banerjee chaired a state cabinet meeting. Banerjee is still in Darjeeling and said that she will be there until peace is restored in the hills. The state government earlier in the day sought help from Indian Army to restore peace in violence hit Darjeeling. GJM leader Bimal Gurung has called for a 12-hour-long general strike in Darjeeling hills on Friday. "Miscreants threw bricks, stones and glass bottles aiming at cops. Police restored to lathicharge and lobbed tear gas shells. Over 12 vehicles, including a state bus and few police jeeps, a police kiosk and a local police outpost at Mall were set on fire by protesters. We have detained few protesters."